Our graduate program emphasizes original research in an area of expertise under the guidance of a faculty advisor within the department. 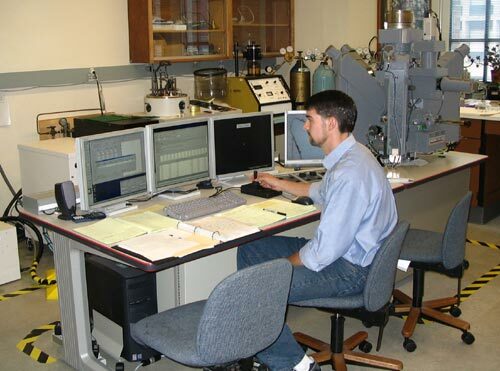 Students may pursue independent research in a wide range of fields that include geochemistry, geophysics, geobiology, geomechanics, geodesy, ice physics, coastal oceanography, geomorphology, neotectonics, petrology, volcanology, paleontology, paleopedology, seismology, tectonics, stratigraphy, sedimentology, structural geology, and ore deposits. Admission to the graduate program in Earth Sciences is typically very competitive. The average undergraduate grade point average of all applicants is 3.4 (on a 4.0 scale). Applicants range from throughout North America, Europe, and Asia. Of those that apply, approximately 2/3 of applicants are currently completing a bachelor’s or master’s degree at their home institution while the remainder are returning to academics from industry, volunteer work, or other research positions. In a typical year, as many as 15% of applicants are granted admission to the program depending on funding levels and research needs. 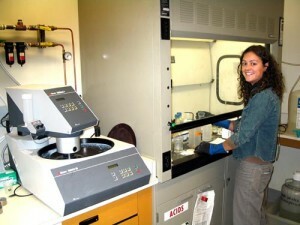 The department offers Graduate Teaching and Research Assistantships to help fund students while pursuing their degree. This support comes in the form of a stipend, a tuition waiver, and health insurance. Exceptional applicants will also be considered for the Johnston Fellowship, which includes a $4,000 award in support of research activities to be used at the student’s discretion. This award can be used for research supplies, travel, and conference fees. Prospective students are encouraged to browse the webpages of individual faculty members and inquire about research opportunities by contacting faculty via email. General inquires about the graduate program can be sent to the admissions chair, Dr. James Watkins. Questions in regards to application procedures can be directed to Marla Trox. Click on the link below for detailed instructions on how to apply.